From the Digipen Institute of Technology comes another interesting free game, this time one that seems to take inspiration from the Slender generation. 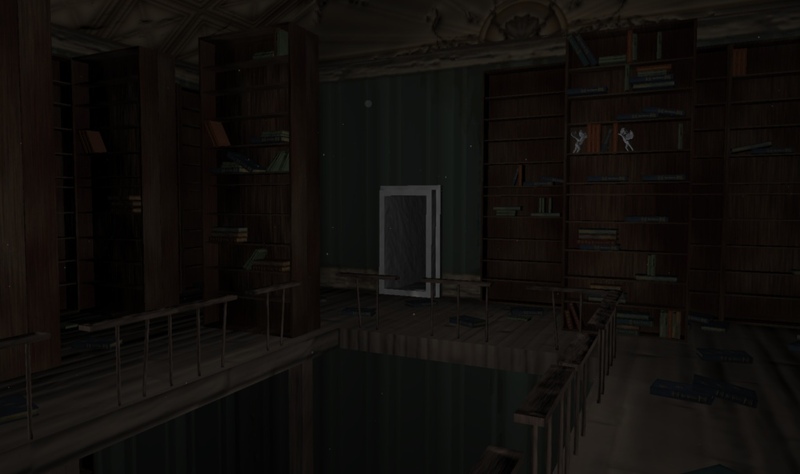 In Stonewick Manor, a first-person adventure horror game you wake up trapped inside a strange mansion. The weird thing about this place is that it’s riddled with stone cherubs that seem to move and follow you when you’re not looking. These creepy cherubs will get to you without making a sound and will drain your energy if you don’t take care. To escape from this haunted place you have to get the keys to some doors and collect the gems that open the main door. Stonewick Manor has a great atmosphere and some haunting sounds to add to the mix. Gameplay is creepy enough and the designers have to be commended for not resorting to silly jumpscares to frighten the player. The game is, however, very easy and short – you can complete it in 10 minutes without breaking a sweat. A bigger mansion with more rooms to explore and different settings to marvel at would be very welcome, as well as some creepier cherubs, perhaps with a more demonic twist to them. Nevertheless, a good game for horror fans and it’s free!